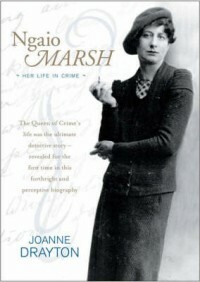 Today's post is for the Classics Circuit tour The Golden Age of Detective Fiction and the obvious choice for me was to feature New Zealand's Dame Ngaio Marsh, one of the four great Queen's of Crime from this era. I read two books, one a biography and one Ngaio Marsh mystery. A beautifully presented and well written biography of a woman with a huge public image and a fiercely protected private life. Even the autobiography she wrote in the 1960's revealed almost nothing not already known and she destroyed all her personal papers and letters before her death. In New Zealand she is recognised more for her services to the theatre , a huge contribution for which she received her 'dameship' as she called it, and much of the book follows her career in that area. I was more interested in her writing and the chapters on this are interesting and informative not only about the books but also as a glimpse into the rise and fall of this golden age of detective fiction. Her first book was written in a London flat in 1930 - nineteen years later she would receive the ultimate distinction when her publishers released the 'Marsh Million' , 100.000 copies of ten of her titles on to the world market. In 1932 , a family tragedy brought her home to New Zealand and from then on her life would be divided between the two hemispheres, between passionate relationships at home and abroad, and between the world of publishing and her life as a stage director. 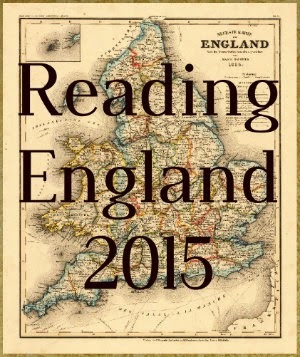 It becomes clear that her writing self belonged in England. Her Detective Roderick Alleyn was upper class British, educated at Eton and a former member of the diplomatic service - a reflection of the sort of people she mixed with in both countries. Of her 32 novels only four are set in New Zealand which is not surprising considering a British detective could hardly be taking a six week boat trip to the other side of the world too often. 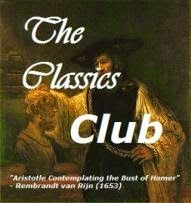 I chose to read the first of these published in 1937. The story follows the classic structure of these murder mysteries. It begins on a night train on which a touring English theatre group is travelling ......as is Detective Alleyn who is in NZ on holiday following an illness. When one of the actors claims someone has tried to kill him by pushing him off the train Alleyn is brought into the action and the reader is introduced to the standard assortment of characters . Everyone then arrives at the town where the group are next playing, preparations are made for the performance and also for the birthday party of the leading lady......and the murder! In later years Ngaio Marsh was to earn a reputation for highly original and slightly implausible murder methods and this one is no exception. Suffice it to say it involves a bottle of vintage Moet. From then on it is investigation and interrogation and the usual red herrings until the murderer is revealed - none of which I found particularly enthralling. The author's knowledge of the theatre is evident and there is some nice descriptive prose which show her love of New Zealand's natural beauty but they don't make up for what I really didn't like about this book. She uses her main characters to portray social issues and attitudes of the time - Maori/Pakeha, New Zealander/Englishman - and she does it in a way that I found quite awful. Detective Alleyn , while appearing genuinely sympathetic to a different culture on the surface, reveals himself in letters home to a friend as a condescending snob. New Zealanders spend all their time mumbling crikey and blimey in 'that accent', the Maori Dr.Te Pokiha is acceptable because he's Oxford educated until he loses his temper and then he's a savage and the racist comments are appalling. Too close to home, maybe, but it spoiled any entertainment value the story may have otherwise had. I might have appreciated her writing more if I'd chosen a different book but I'm definitely not inspired to read anything else written by Ngaio Marsh. At least the biography was interesting and worth the time spent reading it. Oh, dear! I read the first in the Inspector Alleyn series for the Classics Circuit and while I didn't think it was that great, I was really interested in Alleyn himself. He seemed like someone who'd grow into a great character, so I'm sad he disappointed you so much here. That's too bad -- it sounded so promising. Such a shame that the attitudes which were so acceptable nearly 100 years ago taint works like that. I'd still like to try Marsh but I'll avoid that one. Maybe the books set in Britain are less blatantly racist. Wow. 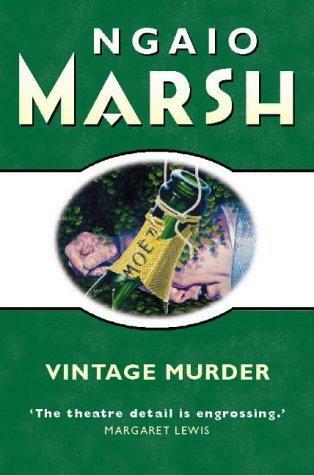 I almost read Marsh for the Circuit and, for reasons I can't remember now, decided to read Josephine Tey instead. I do find racism and prejudice in literature jarring -- even when it was written in a period of different societal norms. It will be interesting to read other reviews of Marsh's work on this tour! Aarti - I liked Inspector Alleyn nad think I was more annoyed with NM for using him as a means to spotlight these attitudes. Teresa - I think NM was revealing typical English attitudes that she had probably been the target of in England. It's an interesting subject the 'colonial inferiority complex' and of course New Zealanders would have seen her as "too English". Karen - there are only a few comments and more towards the end. Judging books anachronistically is what has led to such ridiculous ideas as banning "Huckleberry Finn".